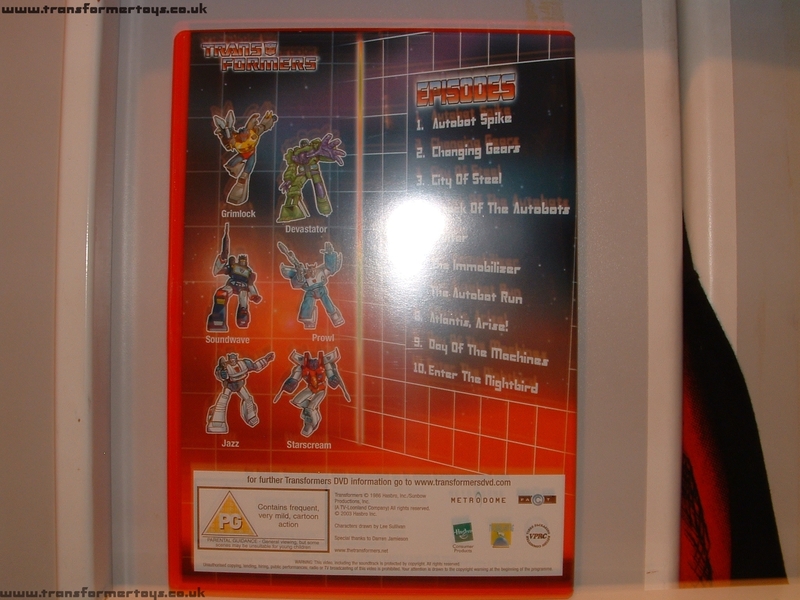 UK Fans have been waiting a long time for the boxsets of the Transformers Generation 1 series. 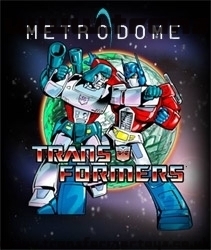 Metrodome are the company producing them in the UK and we have pleasure in receiving an advance copy from The Transformers.Net to review. This is an impartial review of the DVD release, with comparisons (where appropriate) with the Region 1 release by Rhino for North America. Metrodomes website can be found here. This DVD boxset is rated PG in the UK, G for Ireland. 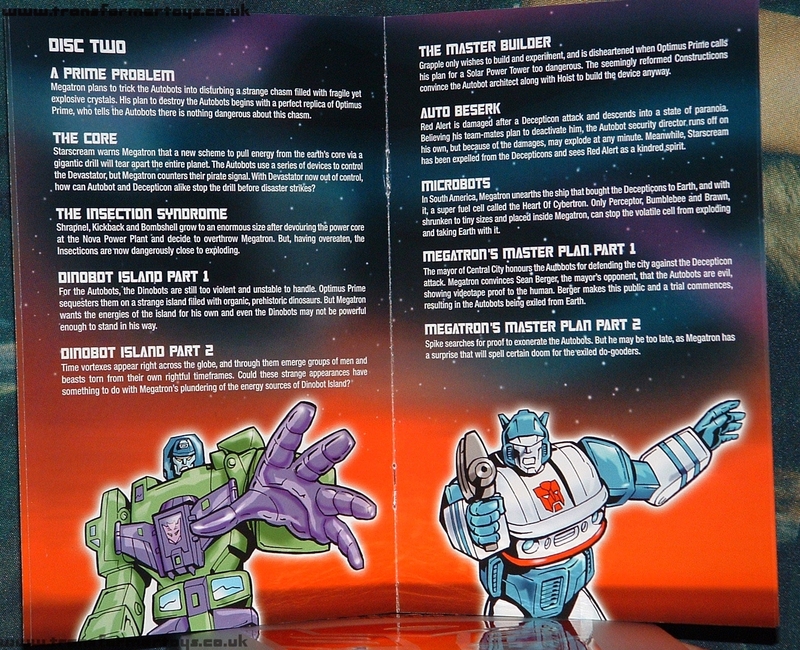 The first thing to point out is that the boxset itself is in the normal boxset style ie not the card fold out one. 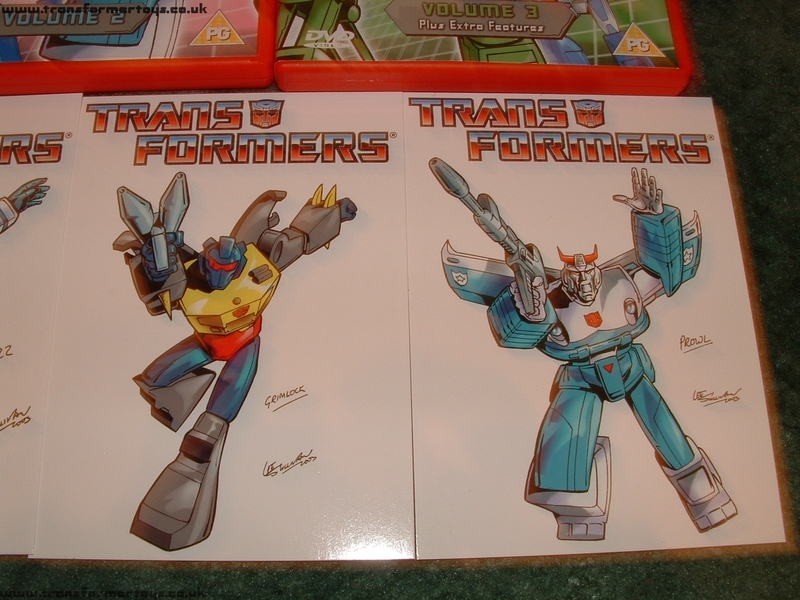 There are 3 DVDs containing 24 episodes, 9 special features and 4 postcards by vetren UK Transformers artist Lee Sullivan. 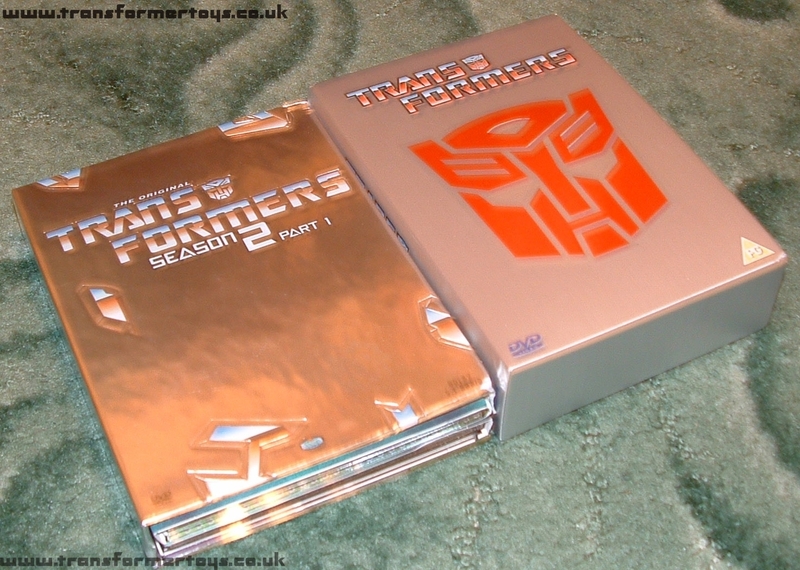 The boxset itself is slightly bigger than its US counterpart, but retains the same silver look. 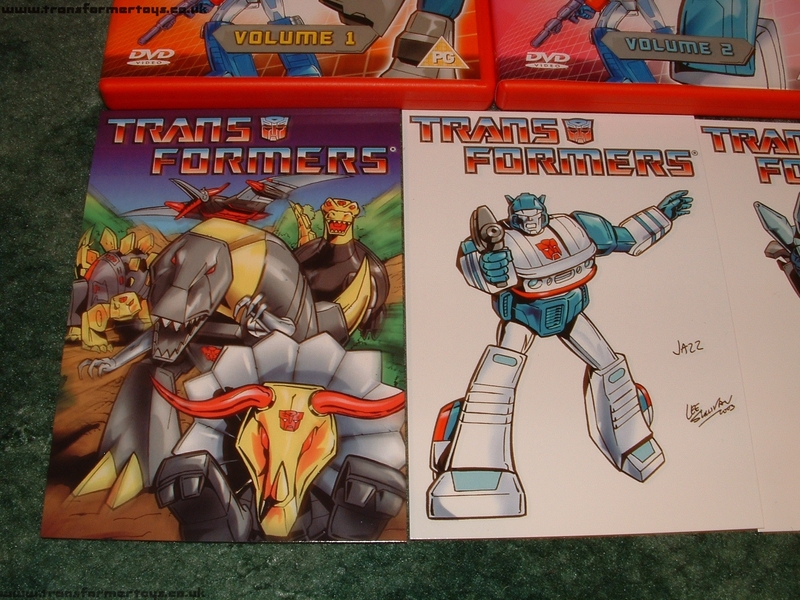 The covers to each of the three DVDs feature artwork by Lee Sulivan. 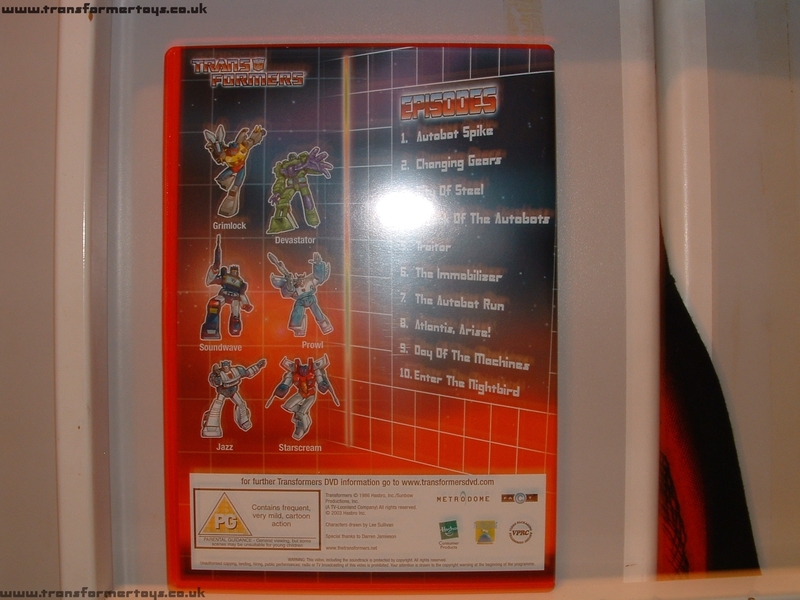 The boxset, in our opinion, although looking somewhat simplistic is very neat, and actually containing new artwork and not just a reuse of the 'same old' Dreamwave art that has been overused in the last 2 years. We're not too keen on the red DVD cases themselves though. 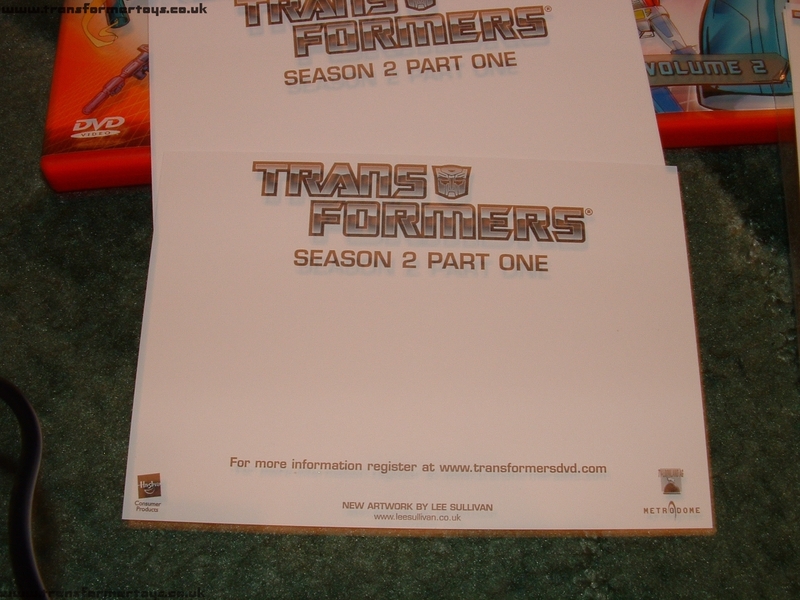 The only place it actually says Season 2 is on the back of the boxset. The next thing to point out is something that the rest of the DVD industry should take note off. As many of you are no doubt aware, when it comes to cartoon releases, you rarely get the right 'bang for your buck' as they say. More often than not DVDs are released with 3 or 4 episodes per disc. This is not the case with this boxset. 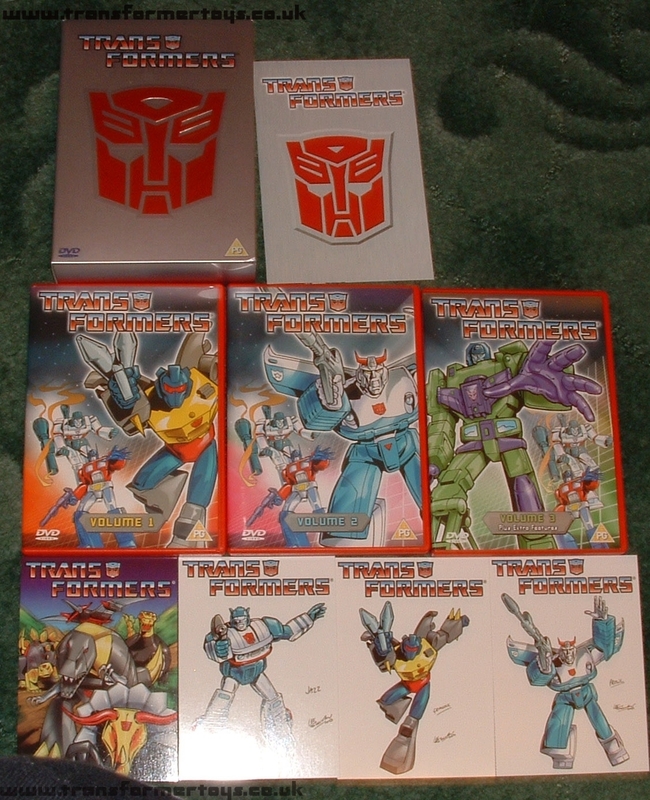 The first two disc contain 10 episodes each, with the last 4 and all the special features making up the third and final disc. This is something that Metrodome should be congratulated about, Rhino filled 4 with the same number. Popping in the DVD you sit through a few screens of logos. Not as many as the Region 1 though you'd be pleased to know, nor are they as long. Then you hear the music and see the menus. 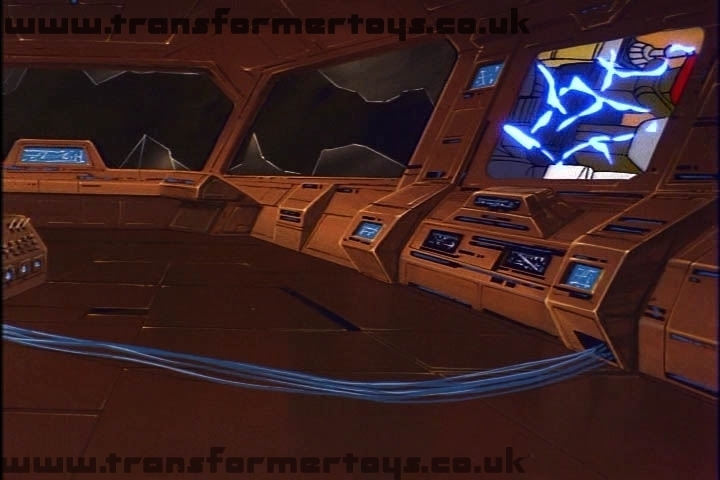 First thing you notice is the animation of Optimus Prime driving in just right of the center, transforming, firing then freezing in that pose and moving slightly up and down. 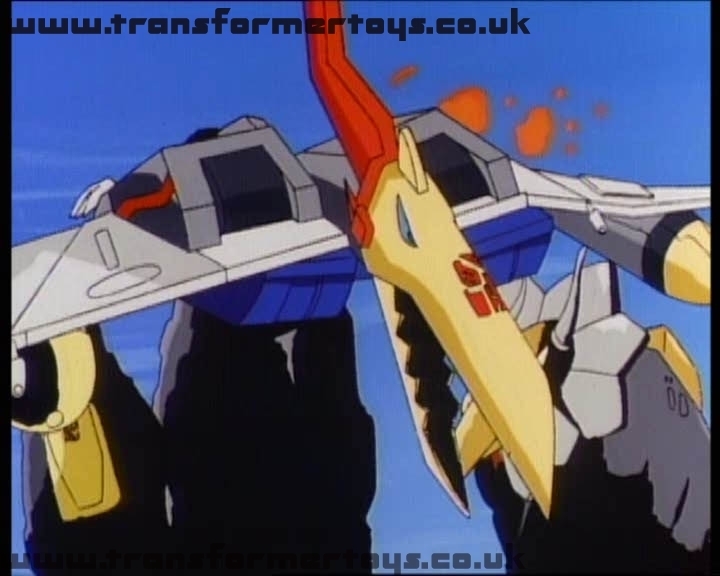 Then Megatorn appears on the left transforming and doing the same but in a flying motion. 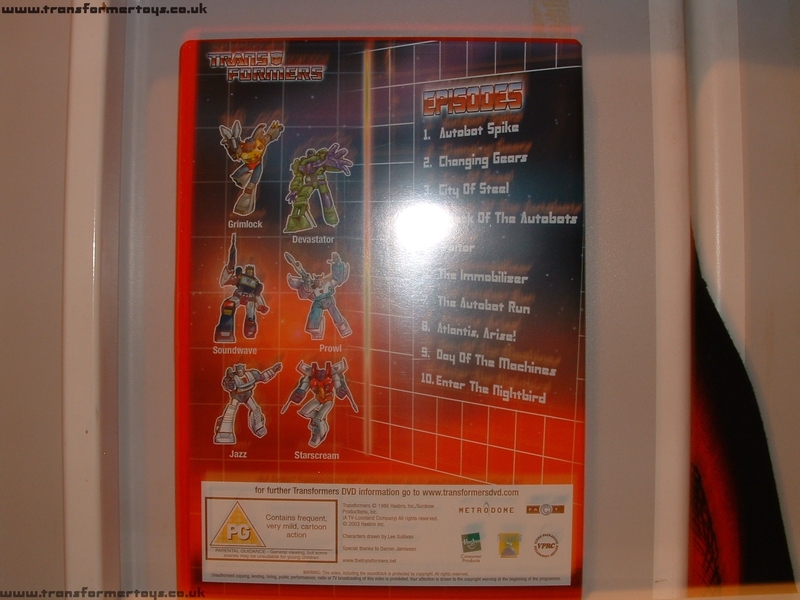 The main screen layout if the whirlpool beginning sequence, which is propably the most famous of the three seasons. This is animated by the way moving along the screen very well. At the top of the menu you have some scenes form some of the epiosdes. On some menus they are static, on most they are animated. 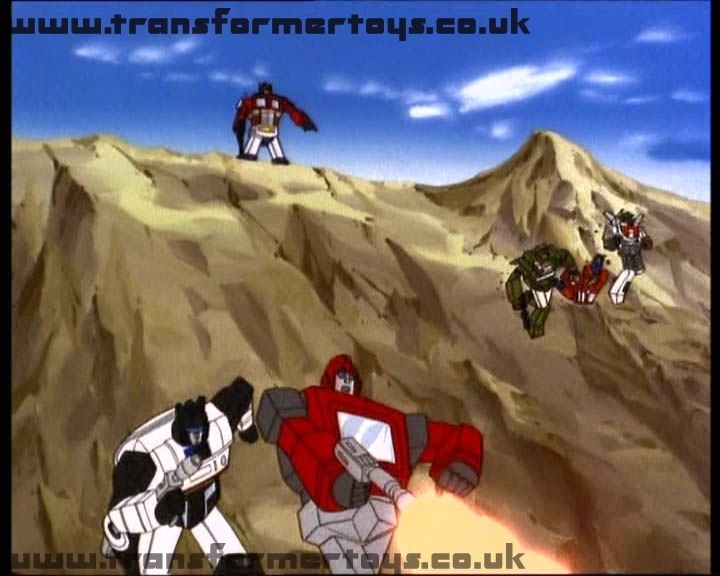 It would have been nice to have animated them all, and the Prime and Megatron look a bit rough around the edges. 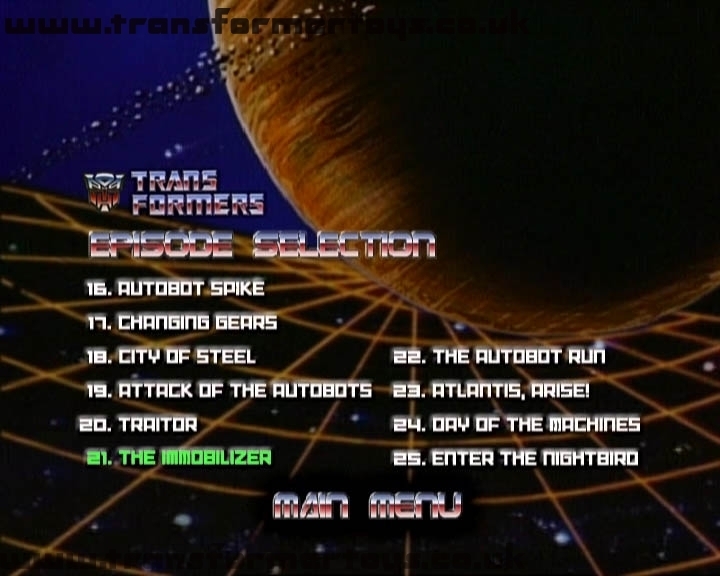 The Transformers style text is used for all the buttons which can often look cheap but does work well for the titles on each screen. 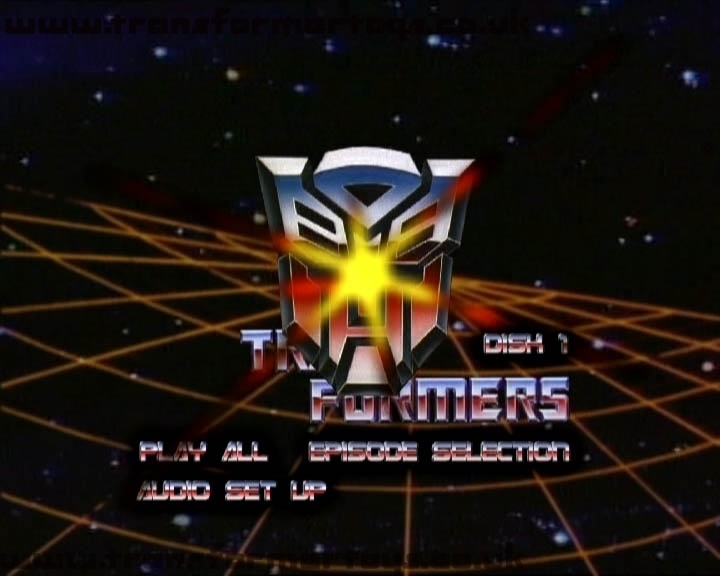 The DVD has both Stereo and Digital 5.1 sound. There are two types of menu transition. From then back. 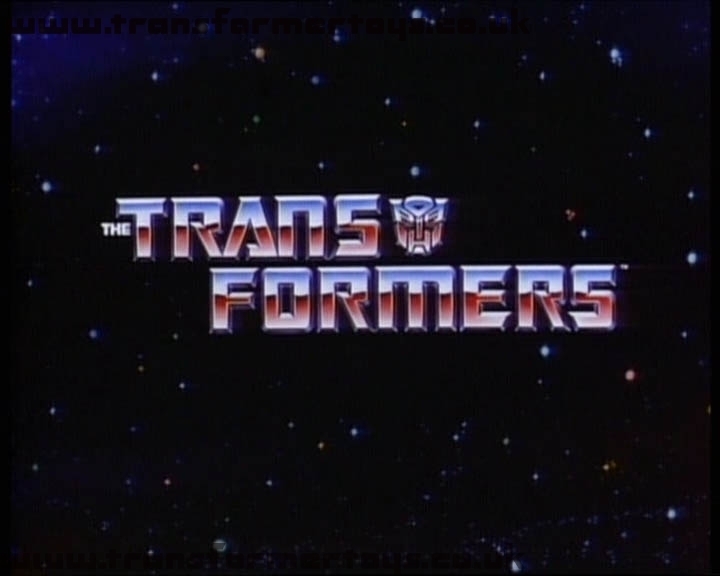 When going to a submenu the Autobot / Decepticon logo switch appears in the middle of the screen, when going back its the same but full screen. Its a very appropriate change and quite fast. As nice as the Prime rendering and animation is on the US one, it can get annoying waiting for the menu transition to run. One thing to note is that this DVD has no subtitles or secondary language. Neither do any of the other Transformer ones, but no doubt someone is thinking that question. Sound Quality - You can not fault this. The sound is exceptional. You really notice the improved sound on the explosions and often on Soundwaves voice. Just crank it up and listen to them fire around your room. Picture Quality - The picture quality is, on the most part, very good. Its very clear that the DVD has been remastered. Some of the episodes on disc 1 still look a little out of focus, but this is due to the different drawing and animation that was used on those episodes, they have a much softer look, but they are still improved. However. Disc 2 is another matter. Again on the most part the picture quality is excellent. 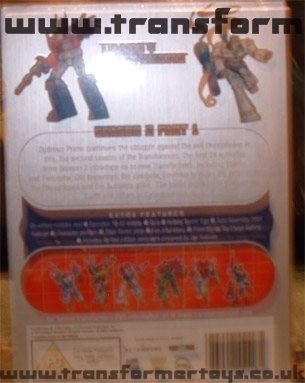 But it is lacking in the Dinobot Island two parter. 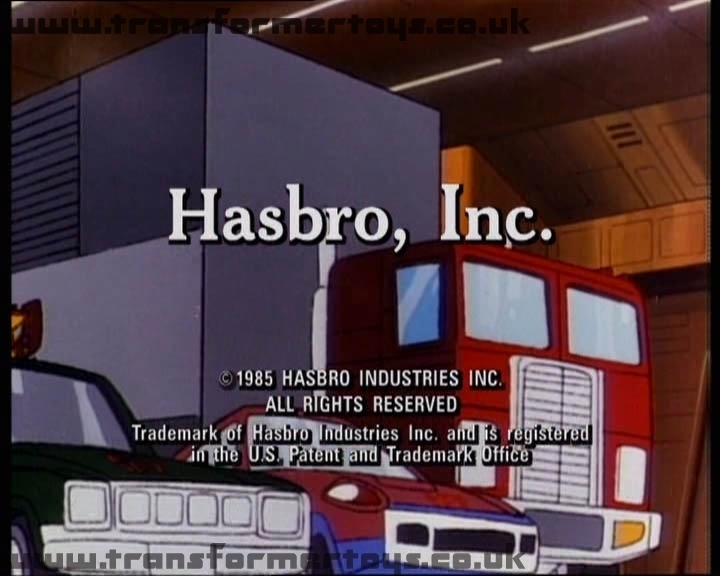 The start of the episode with Bumblebee looks the same as our old VHS copy. Some parts of these episodes are clearly improved visually, mainly because you can see where they are not. We've not run through every episode in the box set, but thus far this is the only two where we have noticed a quality drop, especially at the start of the first one. Please bear in mind this is not ther whole episode though. Inconsistance is the best word to describe it. 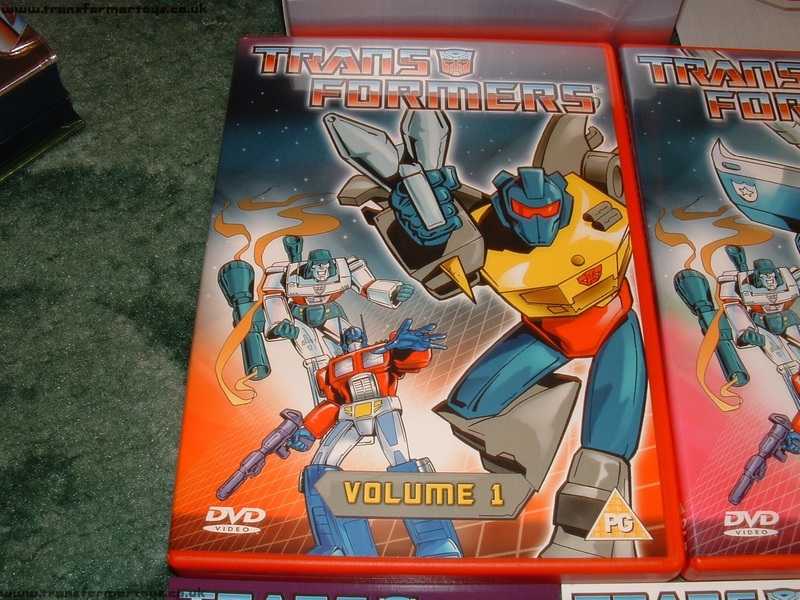 This DVD boxset has the most amount of special feature of any of the Transformers ones released thus far (to our knowledge). Mistakes Reel - Its 16 minutes long and extremely detailed, it comes over as beign too picky, and not really something you will sit through more than once. Some of the mistakes you can not notice, other are more obvious. Episode Scripts - This is very nice. Its a shame there are only two scripts (episode 16 and 17). Its display on a computer screen from the Decepticon spaceship. Its an interesting idea, but the words can appear slightly out of focus and they are limited to space. Its a nice feature and gives an insight into how a script should be laid out. Titan Comic Strip - Its the Target 2006 story. They have scanned in each page as one image and the view pans across from left to right then down (cell to cell) as you would when reading a comic. It does this on a timer. This can get very annoying. On the first page there is a lack of text so you end up waiting for it to catch up. Its unique, oh and there are copywrite warnings before hand thats not the DVD restarting. 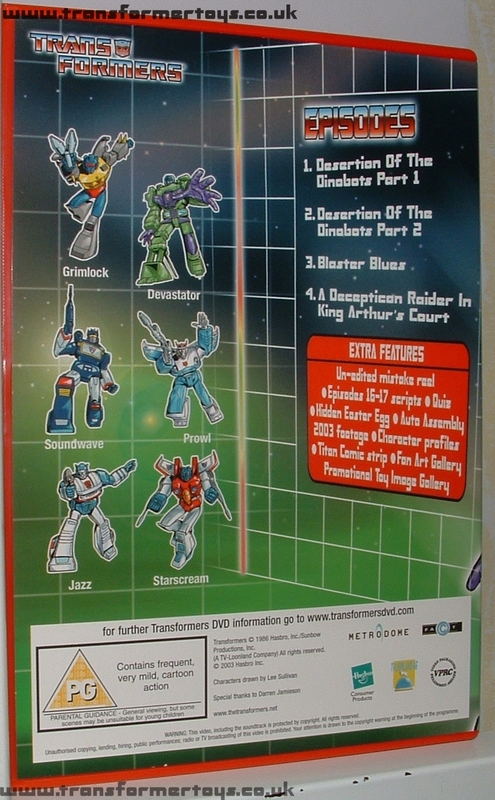 Character Profiles - There are only a few, Prime, Megatron, Grimlock, Devastator, Soundwave, Prowl, Jazz, Starscream. 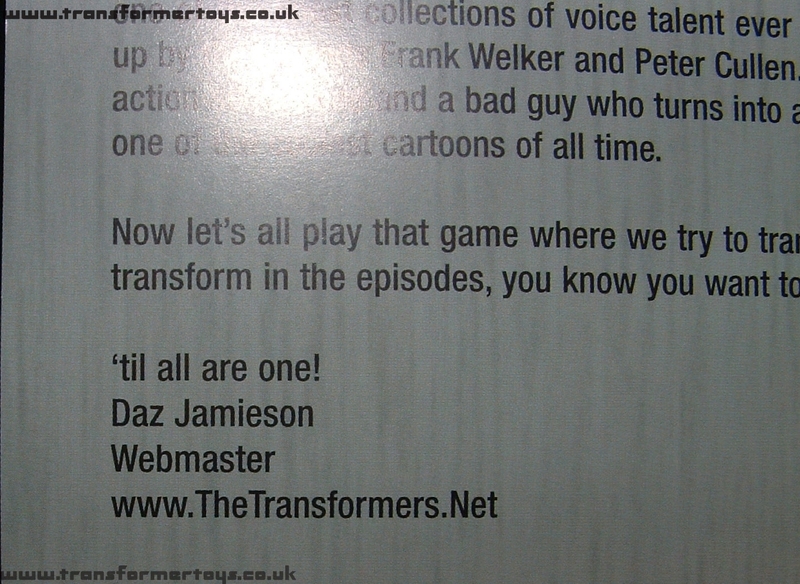 They are written by Darren Jamieson with art by Lee Sullivan. Its quiet nice that they are there. 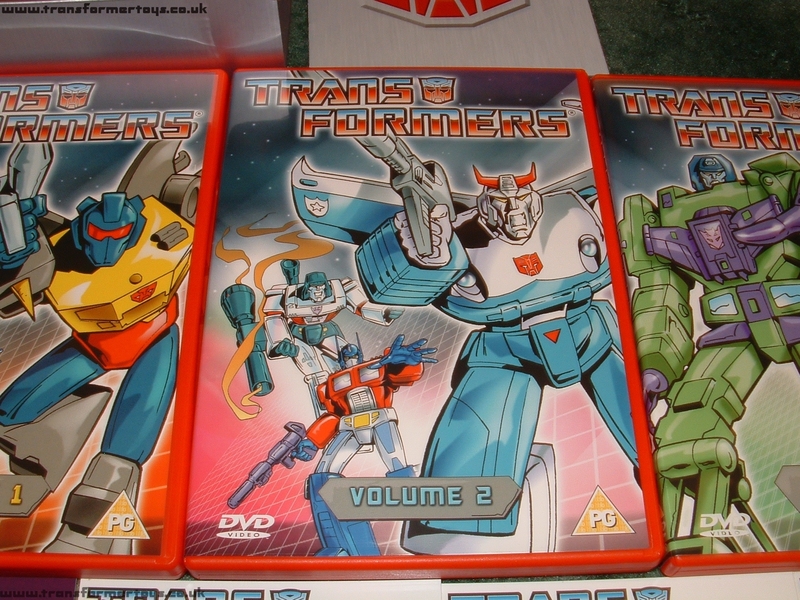 Again, in someways its a shame there are only 8, and that its reusing the same Artwork used all over the DVD, but having them there easily outweighs this matters. Fan Art Gallery - This is really nice. Its one of the better special features in the set. 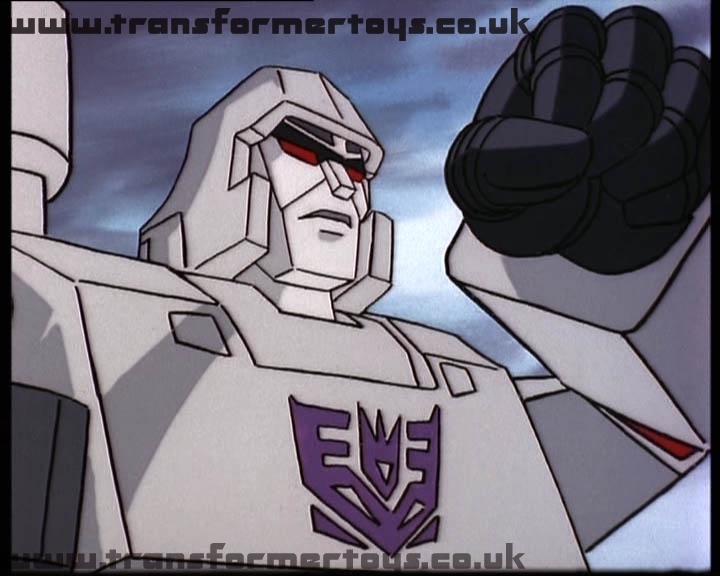 The CGI Megatron and Prime are good examples of the quality of the art. There is six minutes of artwork in the end!!! Certain artists (about 5 of them) who make up 50% of the artwork between them, which is a bit of shame. Some of the art appears more than once, one of them appears three times under 3 different names?!? Promotional Toy Image Gallery - Its basically a collection of scanned toy sheets that scroll in a similar way to the comic strip. Its a novel idea, its nice as a lot of people will be happy that they are there. Its the type of little thing that really improves DVDs. 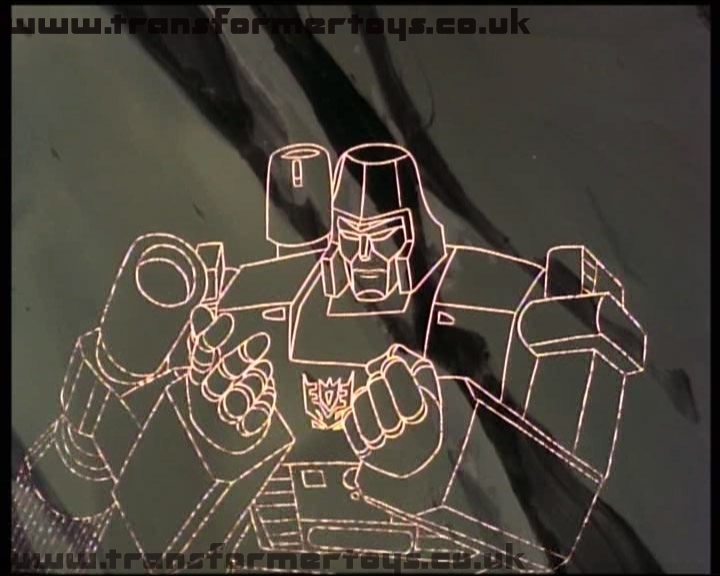 Auto Assembly 2003 footage - The filming was done by Colin Warhurst the editting was by the Metrodome staff. First you read the warning that the quality might be lacking due to the environment in which it was filmed. Sadly this soon becomes very apparent. The lighting does not help matters at all. The lower quality of the camera compared to a steady cam sadly means that most of the filming is out of focus and has a lot of movment. The panning is swift, too much so. It really needed better lighting, a tripod and a higher quality camera. It should be noted that Colin actually submitted a film of over 2 hours to Metrodome, offering his services to edit the video. However Metrodom decided to handle the editting themselves and added a loop of the Series 1 title music which plays through out. Unfortunatly, the lack of sound takes tends to take away some of the atmosphere with the choice of looping soundtrack soon becomes annoying. 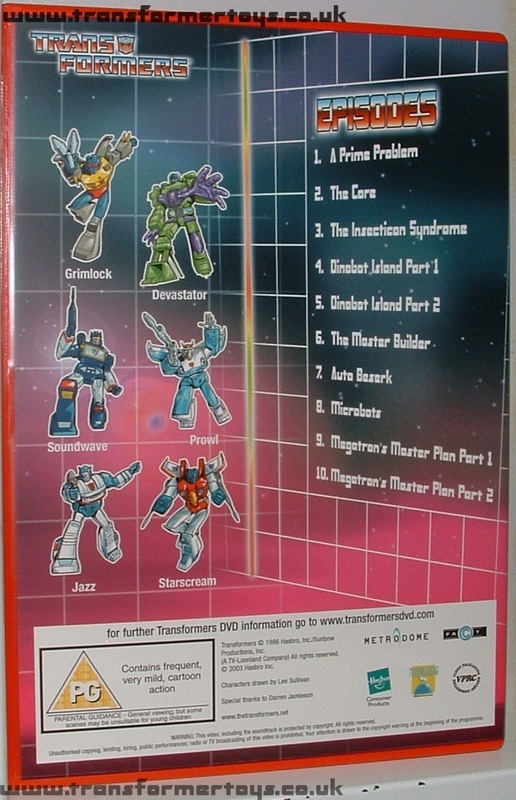 It really needed some narration, interviews with Sven, the guests and some attendees very much in the Rhino OTFCC and Botcon styles. 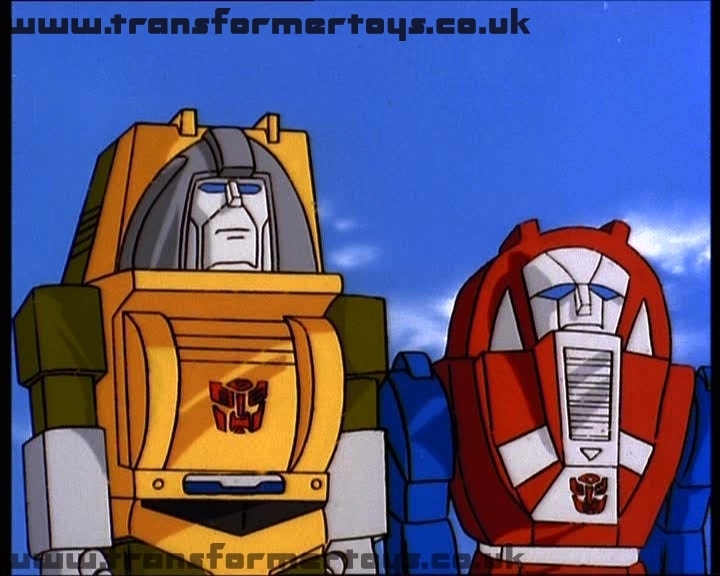 The video footage is the first of its kind for a UK Transformers convention. Sadly the final editting has spoilt much of the effort which went into the filming. This resulted in most of Colin's work going greatly unseen. Overall, its nice to be there, it just lacks some atmosphere, that some sound and improved lighting would have provided. Quiz - This is nice, its easy (but you wouldn't want it to be too hard), there are 10 questions. 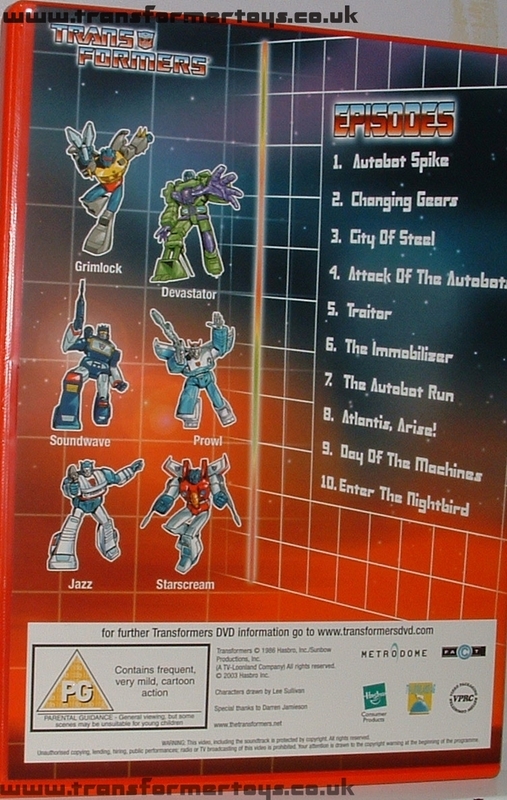 Some of the incorrect answers are great and show a lot of research into them (such as using Diaclone names). Easter Egg - We've not looked into this yet, sorry. Oddly enough, the episodes are not lined up (time wise) with the Region 1. By this I mean the frames are slightly behind. This means nothing really, just thought i'd point it out. Image Quality - 7.5/10 - This one is hard. The image quality has certainly been improved a lot overall. There are inconsistency in some parts (Dinobot Island Part 1 where Bumblebees arm is a blur) which I have to take half a point off for. Overallthe Region 1 remastered version is still superior. Its close, but its not the same. The images to the left are compressed so the final version is clearer, however even on these you can tell that the US one is just that little bit sharper. Sound Quality - 9/10 Excellent. There is not much more to add. The different is noticable. Its certainly not worse than the Region 1 release, possibly a bit better perhaps. You're not going to get any better unless they re-dub the whole lot. Special Features - 7/10 - The number and the uniqueness is a major plus point, the comic does not work perfectly but its different which is good. 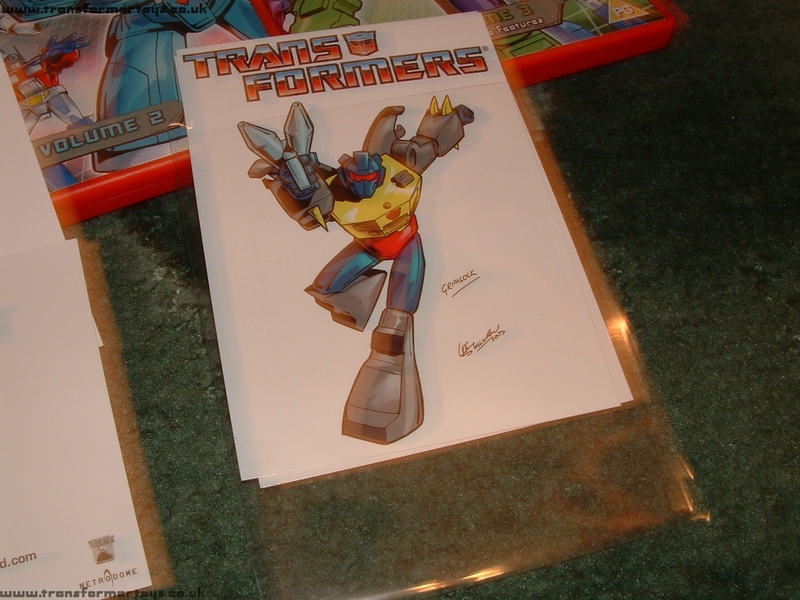 Same for the toys, the Fan Art is a very good idea with some great work, some mistakes with repeats. The postcards are very nice. The quiz is fun. The outtakes are a negative due to the length of them. They should be selectable, they get boring. You shouldn't have to to sit through 16 minutes, you won't do it twice. 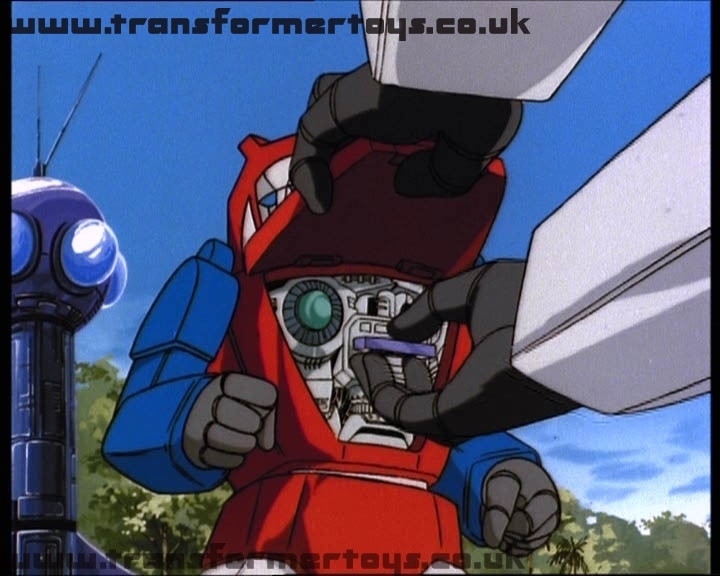 The Auto Assembly footage is a fantastic idea (albeit taken from the US releases) unfortunatly the quality is not up to the standard expected on a DVD release. If these are expanded, by introducing more quizzes, more profile , better quality convention footage, and the outtake viewing re-thought off (something even Rhino do not have) then they would be on to a winner. 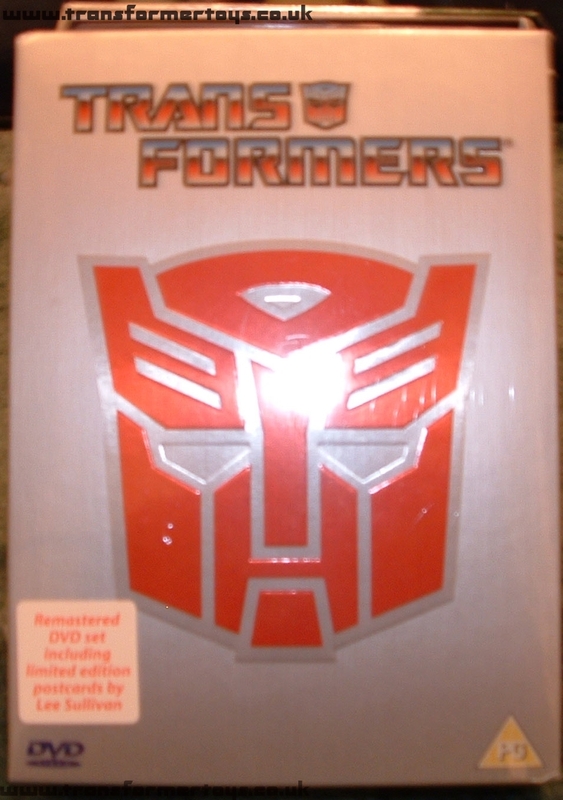 A nice box set, with some great stories, excellent sound, a whole host of special features, makes this a must buy for any Transformer fan who does not already own a Region 1 release. 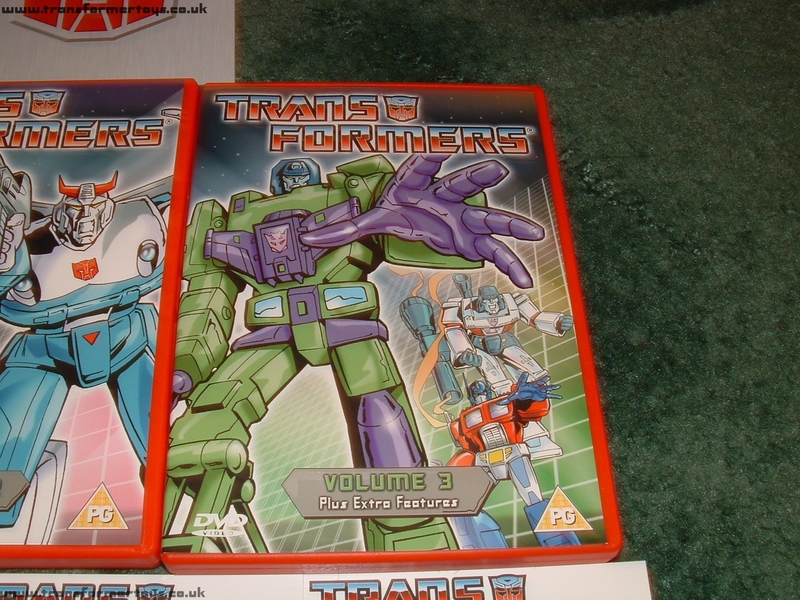 The future of UK Transformer DVDs looks bright in Metrodomes hands. Page Rendering Time: 0.2972 seconds.